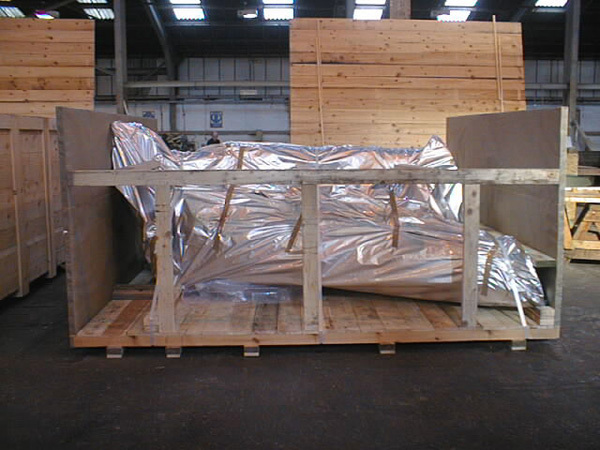 Working on behalf of one of the UK’s largest project forwarders PKM were asked to devise a method to ship 19 flexible concrete mattresses from Teesside to Canada. There were many concerns due to the delicate nature and value of the concrete. 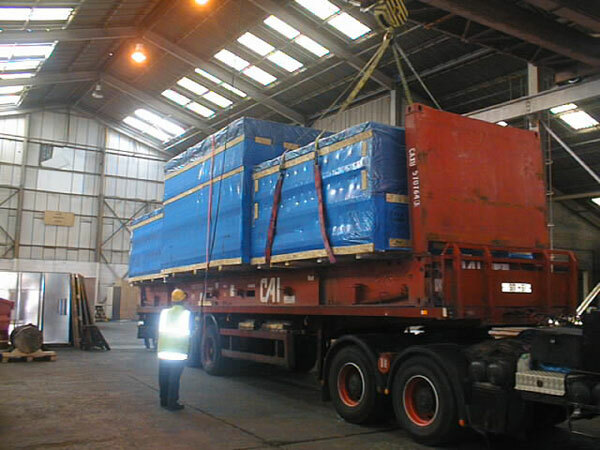 The initial idea was to load each mattress onto flat rack containers, due to the width being 2.8meters. 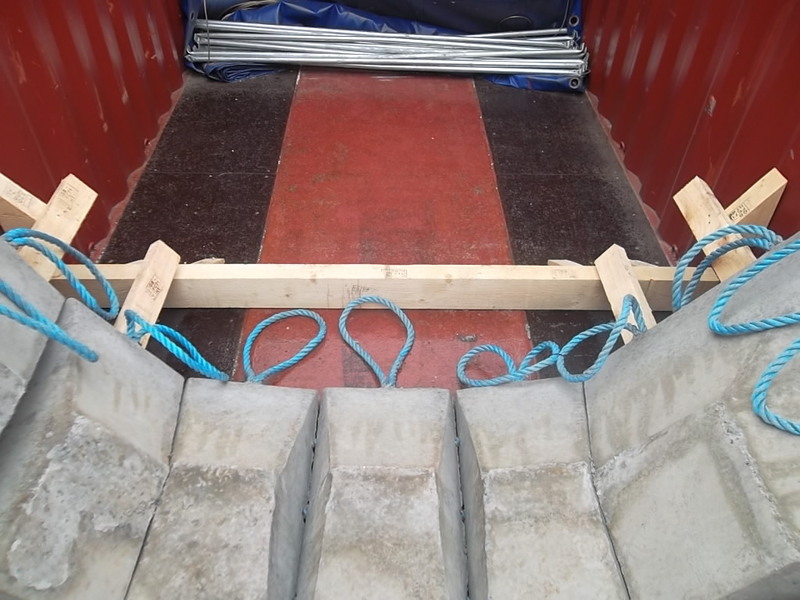 After the site inspection we came up with a design that would allow each mattress to be loaded and secured into open top containers. 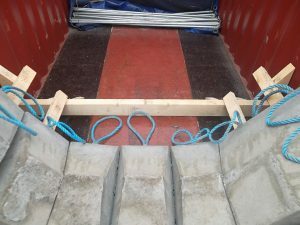 This innovative design would save time and money whilst at the same time make the whole project safer and more secure. 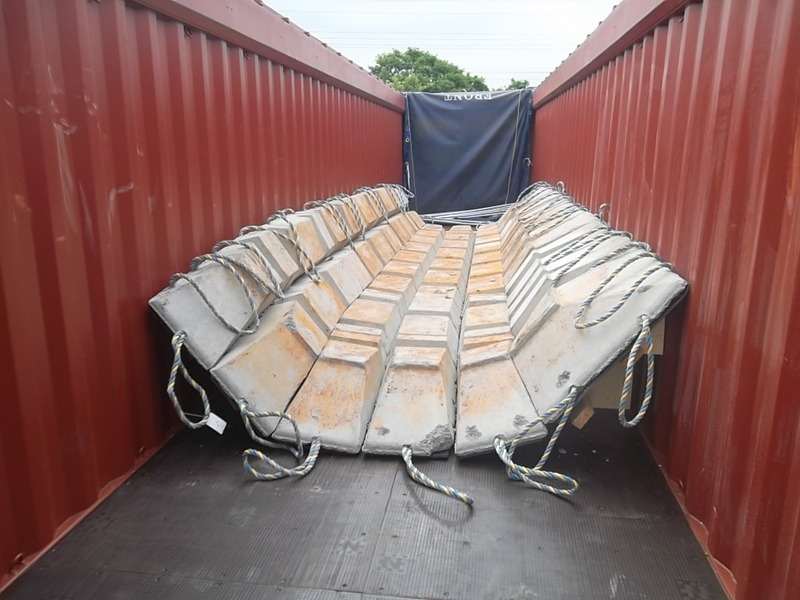 With restrictions in lifting, and very tight time scales we loaded 11 open top containers in 2 days for the first vessel and 8 for the next vessel. 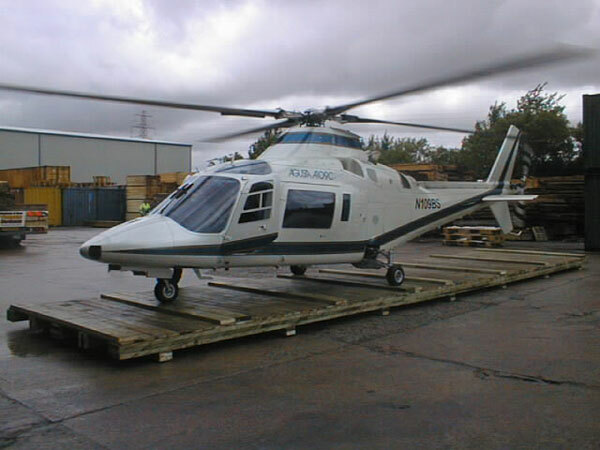 All containers were loaded at the manufacturing site in the North East. All 19 mattresses and 1 lifting frame (on a 40’ Flat rack) arrived in Canada in perfect condition and everyone was more than happy with our services and innovative ideas. This is just one more example of how the experience and skills at PK Marine have helped our customers save time and money. 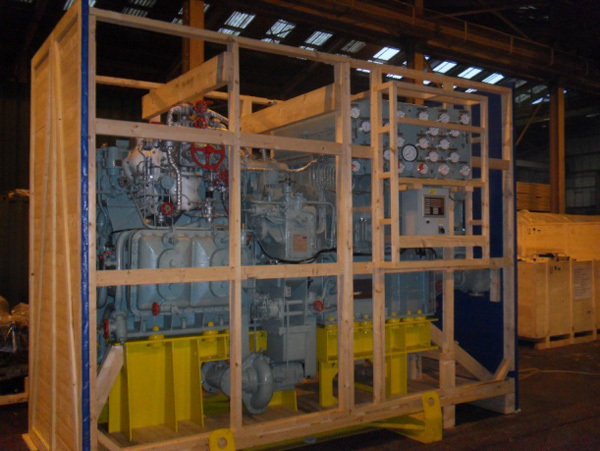 If you require containers loading or containers unloading let PK Marine know and we will come up with a solution to your requirement.